SAE Institute, the largest media arts college in the world, announced its offering of the new Digital Journalism Programme at the SAE Institute Singapore campus starting 4th July 2011. The one-year programme, designed to provide students with diverse digital journalism skills, will be covering journalism, multimedia, video and TV production and editing, audio and software and equipment. The Digital Journalism Professional Diploma course at SAE Institute provides an all-inclusive study of journalism, incorporating a uniquely innovative approach that teaches a practical knowledge of digital technology and its adaptation to 21st century media development. Our one-of-a-kind program offers –students the chance to study journalism, plus video, multimedia and audio production, on an all-in-one course that will enable you to create, produce and distribute your own professional content. Digital Journalism opens up new ways of storytelling, primarily through the technical components of new media. Digital journalists combine a variety of media-text, audio, video and photographs to create a complete story. Whilst in the field, a Digital Journalist blends traditional journalism skills including video, writing, editing and audio to single-handedly produce a story. Media companies look for staff who know the technical side of journalism as well as the practical side. They’re looking for reporters who can create content, maintain web pages, create and edit video and graphic design, write press releases, and improve the company’s on-line image. SAE Institute’s Digital Journalism Professional Diploma course provides the skills and know-how that modern media companies are looking for. The year-long programme will begin with its first intake on 4th July 2011 and will be taught at SAE Institute’s campus in the heart of Singapore’s bustling downtown. The first Asian branch within SAE’s international network in 1989, SAE Institute brings 20 years of experience as the pioneer of creative media education in Singapore. 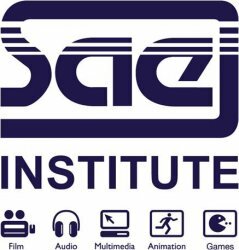 Established in Sydney, Australia in 1976, SAE Institute has since grown to become the largest creative media technology institute in the world, with over 50 campuses worldwide. All courses are taught by experienced industry professionals and qualified academic instructors. Students will receive digital cameras and Macintosh laptops for use on the course, which will cover multimedia storytelling, building an online presence, video editing, and utilizing state-of-the-art publishing technologies. Free MacBook Pro and Canon EOS 60D will be given to the first batch of students.